Never HIGHLIGHT a Book Again! Includes all testable terms, concepts, persons, places, and events. Cram101 Just the FACTS101 studyguides gives all of the outlines, highlights, and quizzes for your textbook with optional online comprehensive practice tests. Only Cram101 is Textbook Specific. Accompanies: 9781437703719. This item is printed on demand. "Medical-Surgical Nursing: Clinical Management for Positive Outcomes, 8th Edition" takes you from basic to advanced medical-surgical nursing with an enhanced multimedia package that makes it easier to learn and apply concepts. This text provides a reliable foundation in anatomy and physiology, pathophysiology, medical management, and nursing care for the full spectrum of adult health conditions. The roles of various healthcare professionals in managing each disorder and are clearly outlined, and evidence-based practice and clinical guidelines are integrated throughout the text. 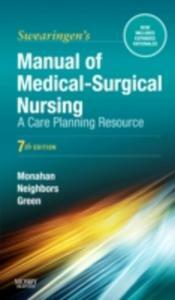 Offers A Study Tool That Helps You Understand The Concepts, Disease Processes, And Nursing Care. 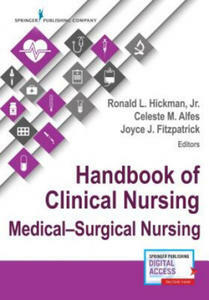 In This Book, Each Chapter Includes Three Sections: Assessing Your Understanding, Applying Your Knowledge, And Practicing For NCLEX. 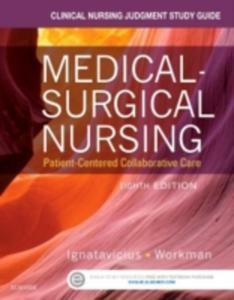 Using a uniquely collaborative and reader-friendly approach, expert authors Donna D. Ignatavicius and M. Linda Workman cover all the latest trends, evidence-based treatment guidelines, and additional updated information needed for safe clinical practice in medical-surgical nursing. This seventh edition features an expanded emphasis on patient safety and NCLEX Examination preparation, new ties to the QSEN priorities for patient safety, and a greater alignment with the language and focus of clinical practice. A new chapter on evidence-based practice and a wealth of effective online learning tools help solidify your mastery of medical-surgical nursing. Based on real life scenarios, the Clinical Cases series presents quality case studies, complete with answers, to provide nursing students with an opportunity to explore scenarios they are likely to encounter in a variety of practice settings. Clinical Cases: Medical-Surgical Nursing Case Studies is perfect for use during exam preparation or as a study tool, providing an engaging approach to learning and revision. Appropriate for courses in Medical Surgical Nursing. 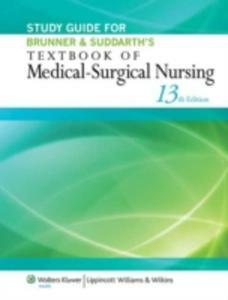 Medical-Surgical Nursing: Critical Thinking in Patient Care, 5e has been revised and updated to provide the knowledge and skills needed to care for adult patients to promote health, facilitate recovery from illness and injury, and provide support when coping with disability or loss. Throughout the text, the authors make every effort to communicate that both nurses and patients may be male or female; and that patients require holistic, individualized care regardless of their age; gender; or racial, cultural, or socioeconomic background. The goal of the fifth edition is to provide the knowledge and resources that ensure a solid base for critical thinking and clinical judgment and that can be applied to provide safe, individualized, and competent clinical nursing care. Multiple learning strategies have been developed to facilitate success-audio, illustrations, teaching tips, and video and animation media. Understandable language and a consistent format are used, and students overwhelmingly report that they actually like reading the text. Never HIGHLIGHT a Book Again! Includes all testable terms, concepts, persons, places, and events. Cram101 Just the FACTS101 studyguides gives all of the outlines, highlights, and quizzes for your textbook with optional online comprehensive practice tests. Only Cram101 is Textbook Specific. Accompanies: 9781605470634. This item is printed on demand. Never HIGHLIGHT a Book Again! Includes all testable terms, concepts, persons, places, and events. Cram101 Just the FACTS101 studyguides gives all of the outlines, highlights, and quizzes for your textbook with optional online comprehensive practice tests. Only Cram101 is Textbook Specific. Accompanies: 9780781731935. This item is printed on demand.